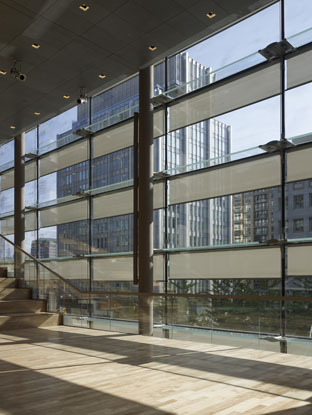 Winner of 9 Awards, including 2007 Building Magazine's Outside the Box Award for Architecturally Innovative Design, the Four Seasons Centre for the Performing Arts in Toronto, Ontario, Canada is a "rite of passage for the city into an urban center," says Jack Diamond, of Diamond + Schmitt Architects. 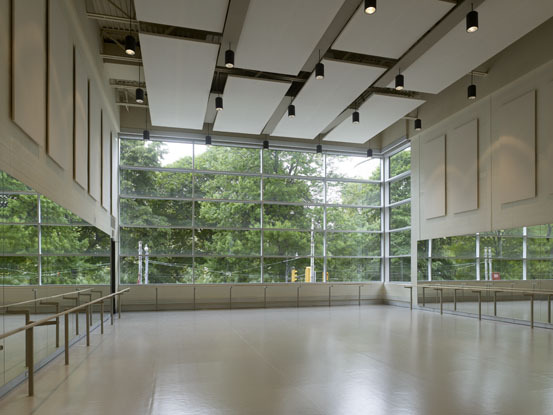 Located in the heart of downtown at the corner of University Ave and Queen Street West, the $150 million theater is home the Canadian Opera Company and the National Ballet of Canada. 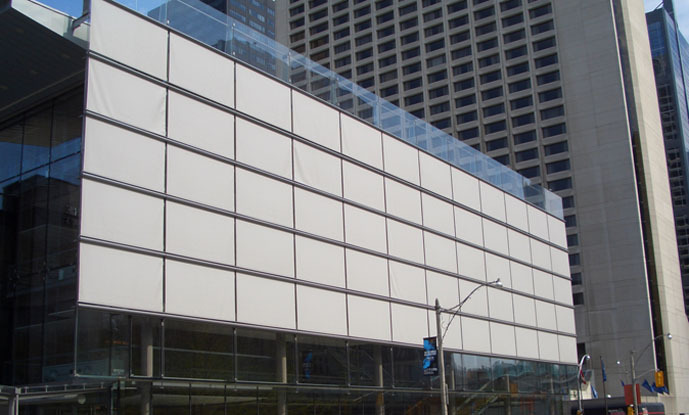 Built on the site of the former Ontario Supreme Court, challenges included site/budget constraints, noise from nearby subway and street car lines. "This project both raises the bar on architectural elegance and our dynamic cultural scene," said mayor David Miller. "The opera house has to be transparent and welcoming, but at the same time have a kernel of silence in the middle," said Diamond in an interview. This inner core contains an amphitheater, R. Frasier Elliott Hall (2,071-seat, horseshoe-shaped auditorium), orchestra pit, rehearsal hall and backstage. 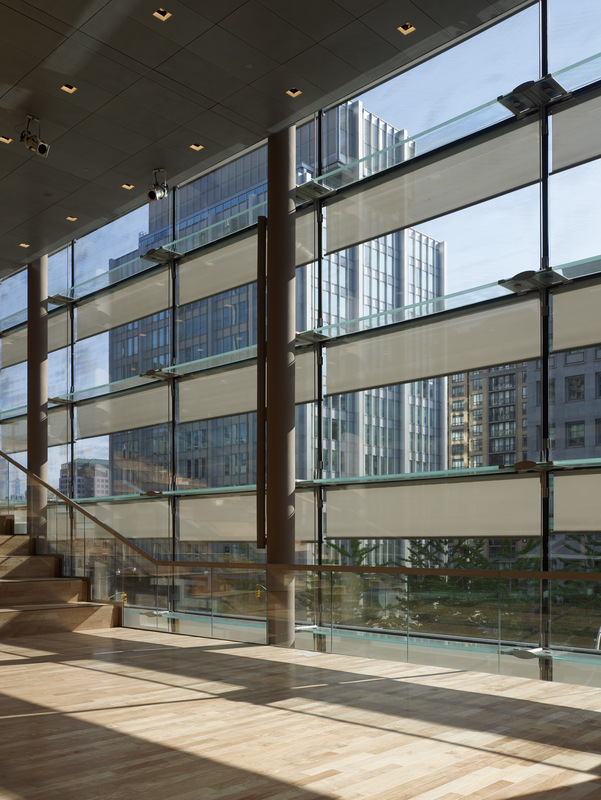 The transparent element is the glittering, lantern-like four-story "City Room" with full-height glazing and a three-story suspended glass staircase, the largest of its kind ever constructed. During the daytime, a sophisticated system of exterior roller shades and sun-tracking controllers, puts on a choreographed display. 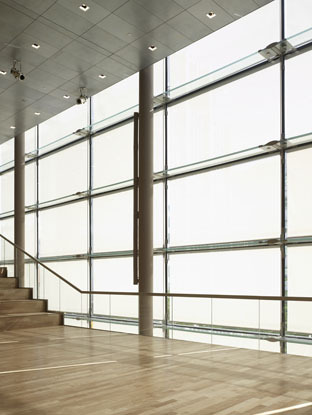 As the sun travels around the building, the shades automatically lower to protect the building against thermal gain and glare. When not in use, the shades can retract completely... raising the curtain, so to speak, on the City Room's wall of windows.